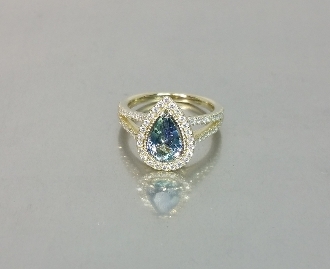 This color changing tourmaline ring is set in solid 14 karat yellow gold with white diamonds. Total pear shaped tourmaline weight is 1.23ct and changes from green to purple. Total diamond weight is 0.43ct.